Successfully Added 3.6 Inch TFT Display Car DVD Player - Detachable Panel to your Shopping Cart. Chinese manufactured Car DVD Player with a 3.6 Inch high color TFT Screen, and a detachable fully motorized Panel for security when you are not in your car. 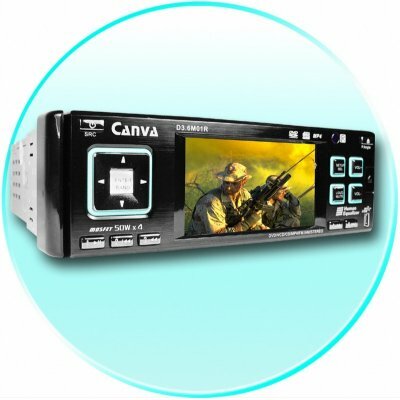 For the very low price that Chinavasion can offer, you are getting many great features including; SD Slot and USB Port, Multi Format Disk Compatibility, 50Wx4 output along with Subwoofer Output, Rearview Camera Output, and more. Available, direct from China with Chinavasions One Year Warranty, and easy to use drop shipping..